The power of adding a live green element to a space is transformative. House plants add a special natural touch to the room and are good for your health! Certain kinds of plants are known to help cleanse the air and create a calm, uplifting environment. Two beautiful Fiddle Leaf Fig trees are potted in natural woven baskets in this living space. 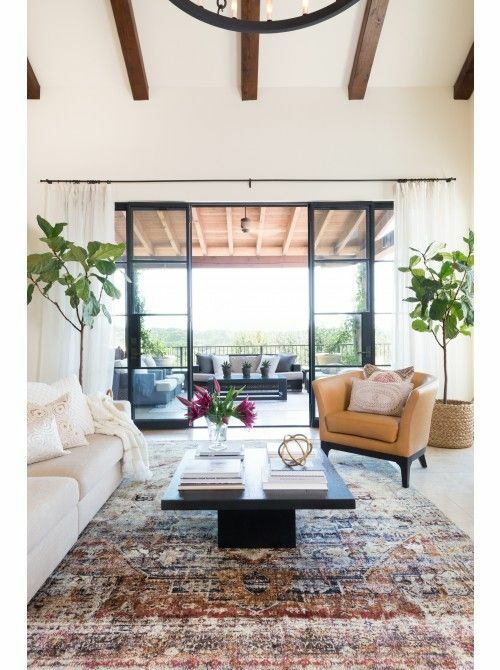 We love the casual nature of the fiddle leaf fig and how resilient they are! 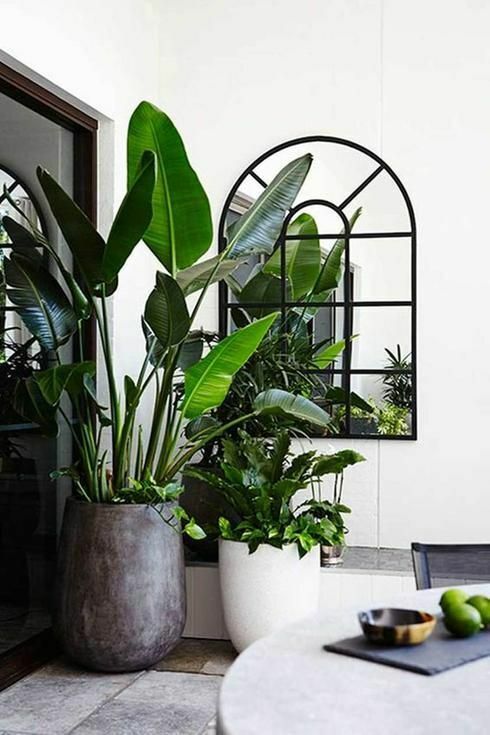 Tropical potted plants are an excellent choice for adding lushness to your space. 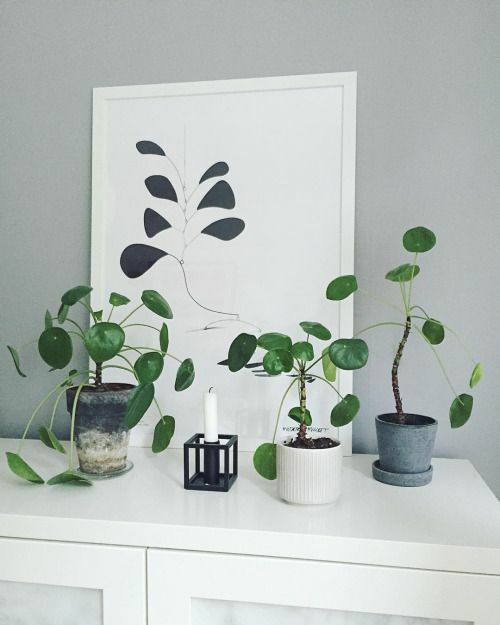 We love the combination of smooth natural concrete and white pots. 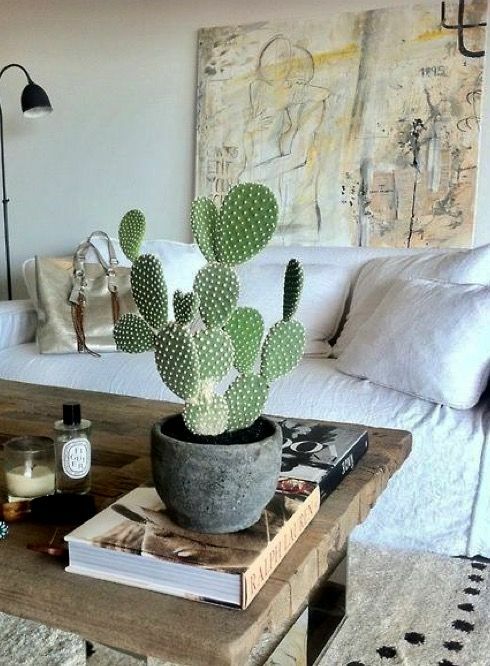 A more Southwestern vibe is displayed in this curated space with an adorable potted prickly pear cactus. The informal nature of this space is inviting and the cactus adds the perfect pop of color. These funky potted plants are sometimes referred to as Chinese Money Plants. We love the playful vibe they add to a console table or dresser. 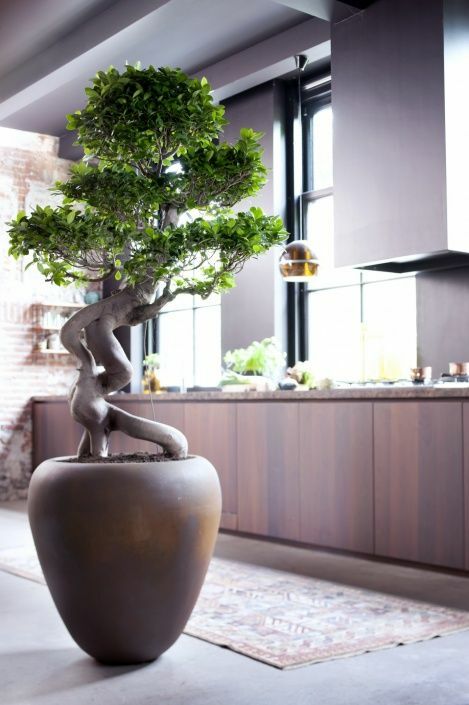 This potted Bonsai tree is absolutely stunning. 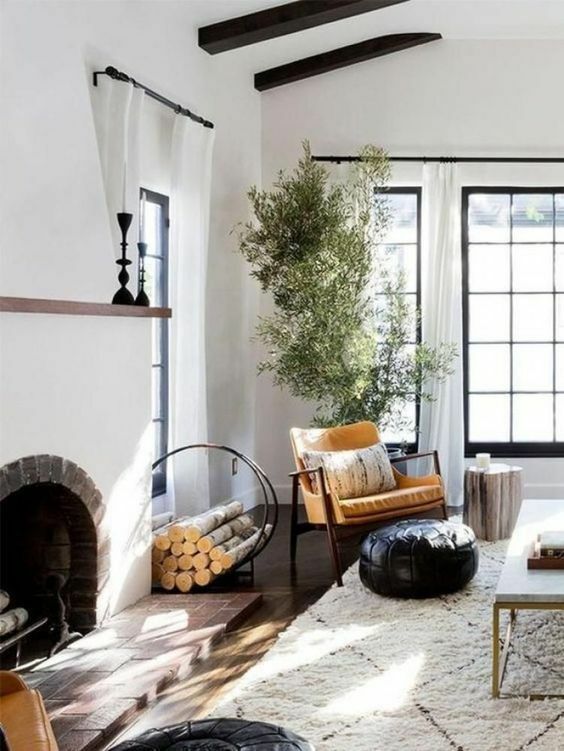 Using a larger potted tree to add a sculptural element to a space is one of our favorite uses of plants as decor. Humble olive trees are low maintenance and add a sweet rustic charm to any living space. Potted trees are a great way to fill space and add a lively vibrant element to your design.